Oh boy another big cat I had never built before. This time a Jagdtiger tank destroyer. It’s a beast of a vehicle. Another eBay purchase for not much more than pennies. The kit seemed pretty old as the box was beaten up and the decals died a while back, but the box art still looks pretty good. Opening up the kit I just love the smell of 1980’s childhood I get from fading paper instructions and old cardboard. I do read a lot of criticism on the net about these old Esci kits, but I love them. This one is another old gem. It’s a relatively straight forward and easy build as the tank has no turret and is made up up a big piece of lower hull and a big piece of upper hull. One massive barrel of a gun. It comes with a commander figure who I declined to include, plus a couple of hatch torsos who were also relegated to the spares box. All the detail is nice and chunky. Towing cable and extra track add some interest to the solid sides of the tank. One of the pictures in the instructions showed some battle damage on one side of the fender, so I hacked off the front fender on the left side. The only thing that’s a real struggle with these Esci kits are the tracks. They are this horrible stiff vinyl type stuff that doesn’t want to go where you want it to go. Whatever you do, do not attach the side fenders until after you have the tracks finished. I used a lot of super glue and some clamps and wedges, and a lot of patience to get the tracks to glue and stay. I found that gluing and weighting or clamping or wedging them a small section at a time was the only way to do it. I managed to get the tracks to wrap around the front sprocket and then sag only by wedging some card firmly under the upper hull while the super glue was drying. So tracks aside the construction was problem free! Paint job was a three colour camouflage I pinched from the internet somewhere. Chipping and mud and dust and rust all added later. The decals are from my spares box as the originals were yellow and crispy. Overall a great little old kit that still scrubs up nicely, if you can put up with the tracks from hell………. My photos are limited to the churchyard right now as everything is packed away ready for some renovations in our house! I am continuing to finish my British Company, it’s taking a while, but I am slowly getting there. I have another two squads half finished and another one primed. Also a bunch of commanders, HMGs and observers. My painting speed is so slow I may be done by Christmas. These guys are the anti tank PIAT teams from AB Figures. They are attached at platoon level so I needed three of them. They only come in one pose from AB so I have done three teams the same. They will rarely appear together so I was not too concerned. Maybe I will boost their numbers with an alternative supplier to have more options of figures. As always I love AB figures and they are great fun to paint up. MDF bases and a few tufties and we are ready to stalk some panzers…….. Slight change of pace for Colonel M this post. I have been itching to play this board game for a while since I bought an old copy on eBay. I always thought it was going to be exactly the kind of game that I would enjoy and I was not disappointed. All of my wargaming time is spent flying solo so it is a special treat to have a game dedicated to the solo gamer. 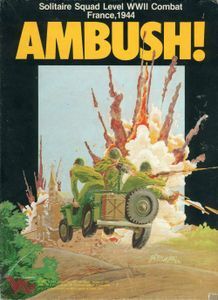 Painting and modelling has been put on the back burner for a couple of weeks as I have played through the first couple of missions of “Ambush”. Although out of print you can still pick up a copy for $100 or maybe better if you have a good hunt around. It’s an engrossing, exciting and challenging game. You create a squad of US troops, then sneak them around a map. There is a very clever system of hex lookups which can point you to an event, depending on where you are on the map and what has already happened. So you never know what is around the corner. It could be a German sniper in the trees or an LMG on your flank. Your reaction and perception levels all affect how quickly you may see something. If your squad is a bit slow and wander into the wrong hex it could be all over. Of course once you have played a mission once, and probably failed hopelessly the first time, the following attempts do get easier as some of the surprises you will have already encountered. My first mission I was far too bold and half my squad was wiped out very quickly. The difficulty of the game does encourage some replay potential. While nothing is happening and no Germans have appeared, gameplay is very quick as you move from hex to hex. Once someone appears trying to waste your squad gameplay changes into an excellent combat process. Initiative is crucial, as are your commanders. Your officers can give other soldiers extra actions and also prevent panic, so don’t spread your men out too thinly or the weaker ones may fall in a heap in the dirt. But also don’t bunch up too close or that MG42 will cut you to pieces. Its addictive. Once you start a mission its like a good book you cannot put down. Just one more hex. I just want to see if I can cross that road. There are periods when all you can hear are your squads boots stepping cautiously along the track. Then without warning bullets ring out and your men are hitting the dirt. Its a lot of a fun, so painting and modelling might be in second place for a couple of weeks yet. I am already thinking that some of these rules could be adapted for my table top games as they are so much fun to play. Another great little kit from Hasegawa in Japan. They are pretty old kits I think but Hasegawa models are always really fun to put together. I have yet to find one that I did not enjoy. I have two later Stuarts from S-Model almost finished to make up a trio of light tanks. So even though I think this older model was mainly used by US forces I have added him into by British just because I felt like it and found him on eBay for a bargain price from someone. The kit comes in the usual grey softish plastic and is a nice easy build. Usual average rubber type tracks, once they are painted and based they are decent enough. I switched out the awful crew man for an excellent AB figure. You can model hatches open so that’s a good thing. I also added an aerial I think in the right spot, well it looks like a base for an antenna. The turret MG I changed for a much better one from a Trumpeter kit spare, and I added some Cullen hedgerow cutters onto the front as they fitted so nicely. I am not sure cutters were ever placed on the front of these tanks but it looks to me as if they should have been. A nice olive drab paint job, British decals and some dirt and dust finishes him off ready for a patrol in the bocage. Although armed with a pop gun and paper thin armour not sure what use he is going to be if things get hot…….. This was another eBay find. Its actually just an old Esci kit that was reboxed as Humbrol. It’s a kit I first built in the early 1980’s as a young lad. I would have twisted most of the parts off the sprue and glued it all together and got him into the action without a drop of paint. How I was easily pleased in the 1980’s, which is probably why I liked the music back then too……. It’s amazing how a smell can teleport you back in time, and the smell of this kit gave me such vivid recall. It must be something about the cardboard box and maybe the plastic, anyway call me weird, but it took me back in time. I remember this truck being my favourite vehicle for my Allied forces. Originally I built him with the canvas tilt on. This time I left the back open, mainly so I can fit in some passengers or cargo sometime. The kit really stands the test of time and puts together very easily. Something about trucks that I really enjoy building. I tried to put some cable using wire around the front winch, but could not quite manage it. I did add some clear plastic as a windshield as that is not included in the model. The original decals had long since perished so I added some of my own. I like the Allied star on the bonnet, which I think came from a Unimodel kit. A man from my reliable supply of AB Figures British drivers is at the wheel, I cant remember if the kit came with a crew man. If it did it was probably rubbish so I threw him in the spares box. I love this kit. I think it’s the only Dodge truck available in this scale in plastic, so you better go and find one on eBay. I seem to find eBay a great source of old Esci kits if you are looking around! I have a bunch at home now gathering dust that I need to get cracking on. Another excellent publication from my friends at Pen and Sword. I have read a couple of books before by Mr Bernage and they are always very interesting. “Objective Falaise” is jam packed with maps, photos and first hand stories from a couple of Allied offensives after the Normandy invasion. They revolve around the attempt by the Allies to surround the Germans near Caen in the Falaise Pocket. As an avid wargamer the book gives plenty of scope to adapt many of the stories and situations into a scenario for the table top. For someone interested in World War Two military history its also a very well written and invaluable resource for an important post D-Day confrontation. 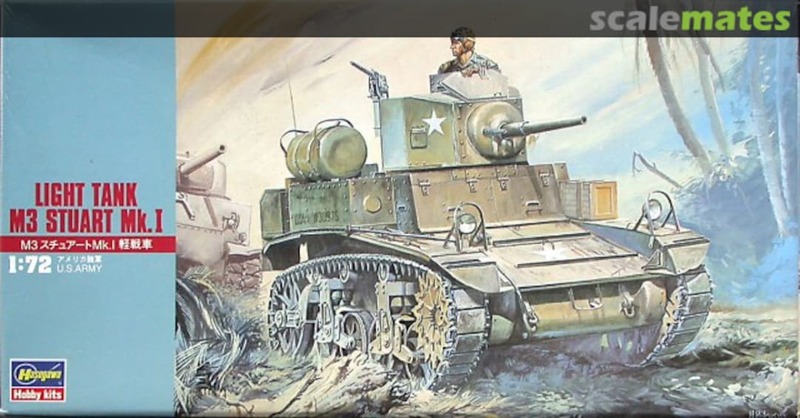 The maps and photos are particularly good, some of them copies of original combat maps, from larger scale maps of the terrain down to more small scale maps with individual tanks marked. The photos also show some “then and now” type comparisons. Also very cool photos of actual wrecks in situ and even bits of tanks that a farmer salvaged and kept on his farm. My favourite part of the book is the story behind the demise of the famous Tiger Tank commander Michael Wittman. It gives a full run down of his last fight and images and maps of how the situation unfolded. Excellent stuff. This part will definitely be used by me in a table top scenario some time in the future. My only real criticism, which is common for this kind of book, is the lack of one main map with a step by step chronological guide that links all the text and stories together. Without this type of easy to follow reference I did get a bit lost in the story and how each day progressed. Too many small maps that were hard to read in relation to the overall tactics and movement. So I did get a bit lost from a geographic perspective. Overall its a good read and very useful and interesting for historians and wargamers alike.